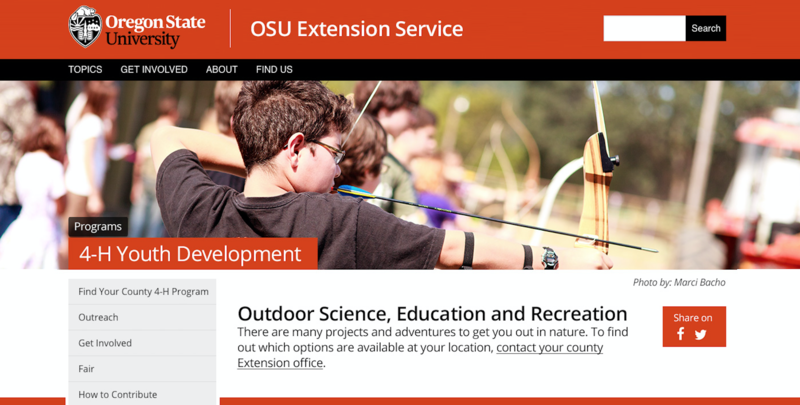 If you coordinate a program that the public can get involved in as a volunteer or participant, then by the end of November your program pages can have a new look on the Extension website. 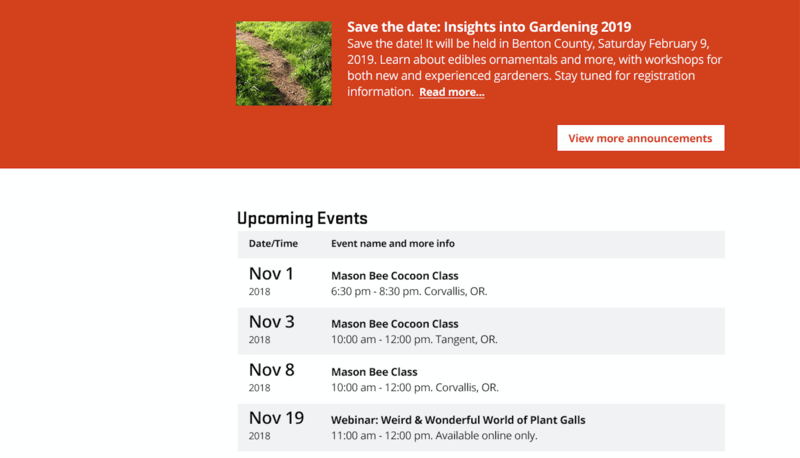 Check out these new designs that allow you to add background photos or shading, quick links, calls to action, and program descriptions to highlight select activities and resources. 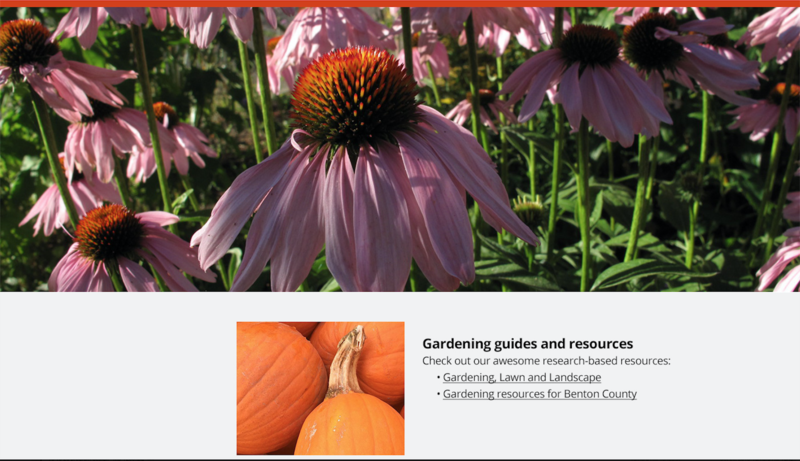 Below are two examples, for Master Gardeners and 4-H, that show different design features you can apply to your pages. Think about how your current content will best fit into this style. Do you need to craft a more concise program description? 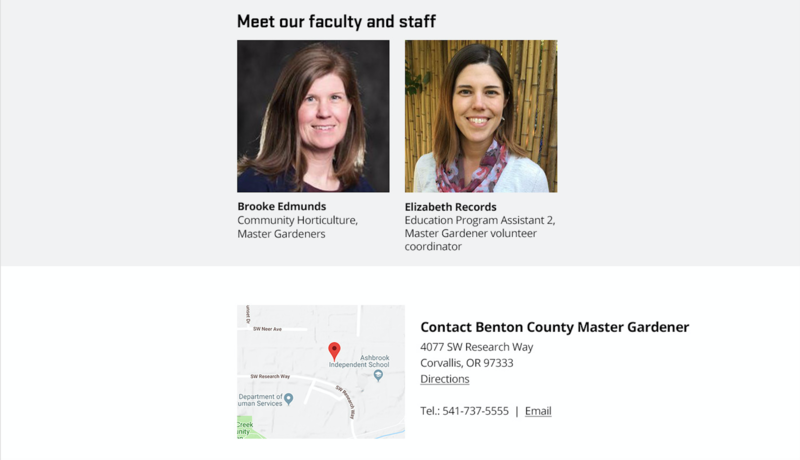 Do you need to create nested subpages so the sidemenu is shorter? Do you need to find good photos for the top of all your subpages to get ready for the change? We can walk you through how to create this look when you’re ready. Send us questions, training requests or what you think about the new designs! *Note the images are added separately to this gallery, so the gap you see between each will not show on the actual webpages. Posted in Status update, Uncategorized.